Wind turbines use the energy from the wind to generate potent electricity. They do it without external sources and without creating environmental waste. At the end of 2013, there were 8,55 GW potent wind turbines installed in Italy (450 MW according to ANEV data). These wind turbines produced 14,9 TWh contributing to 5,4% of national production levels and 4,7% of national consumption levels of electric energy, increasing by 11,6% from 2012 (Terna data). At the present moment, with or without energy incentives, the installation of wind turbines has proved to be very beneficial for individual users and the ecosystem, guaranteeing investment returns in a short period of time as well as contributing to a healthy sustainable world for our generation and the generations to come. B-eco offers a complete set of services to install wind turbines, regardless of dimension or location. We can install wind turbines at residential or business complexes at a fast pace at the best conditions. We also provide cost estimates related to our services. Wind turbines are tested and made by solid and reliable technology that is in constant development. They are affordable and profitable, guaranteeing a safe environment for humans. Today’s modern design allows for agreeable integration in urban contexts, as well as a micro wind turbine up to 6kW in a mountain or rural context. The first step is to decide the area where to install the wind turbine, generally on a rural context, or on the building roof for micro WT. It is important to know the local wind characteristics in order to evaluate in advance the expected production. This information can be provided by statistical regional data, or even better by a specific local monitoring activity. Wind turbines are stable, solid and reliable, requiring little maintenance effort, such as periodic checks of electronics panels and devices in order to verify the proper movement of all mechanical parts. The continuous monitoring of the wind turbine status and production will prevent mechanical errors and assure optimal operation. Wind turbines use the wind energy to produce electrical power, without any other external source, and with little maintenance effort. Wind turbines today are low cost; when installed on a site with average wind intensity they ensure the return of investment in 5-7 years, and electrical production daily and nightly by wind, with no additional costs besides maintenance. Wind turbines do not produce waste, much less carbon dioxide, thus contributing to the preservation of the ecosystem, ensuring a safe and healthy environment for the generations to come. 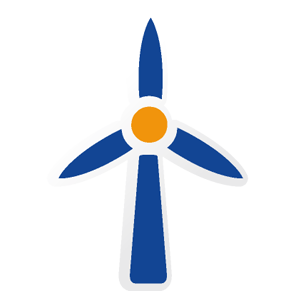 B-ECO can boast a well-established and relevant experience on planning, installing and maintenance of wind turbine plants.